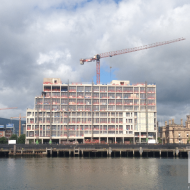 A nine-storey hotel building comprising 188no. 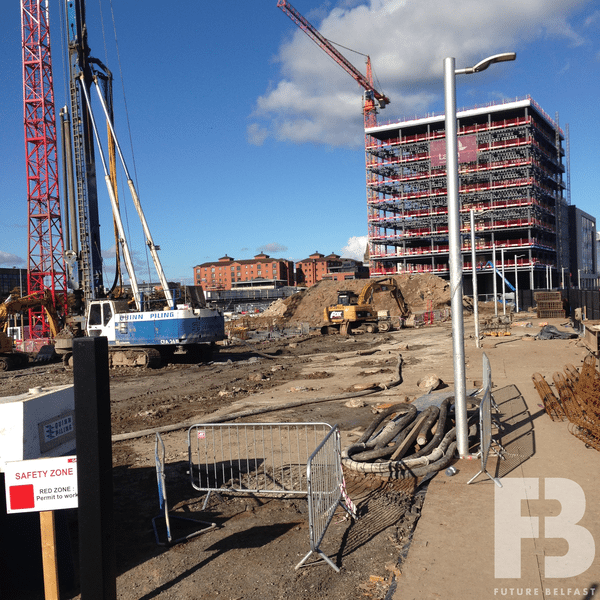 bedrooms, reception area, restaurant, bar/ lounge, gym and meeting rooms. 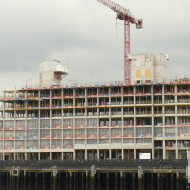 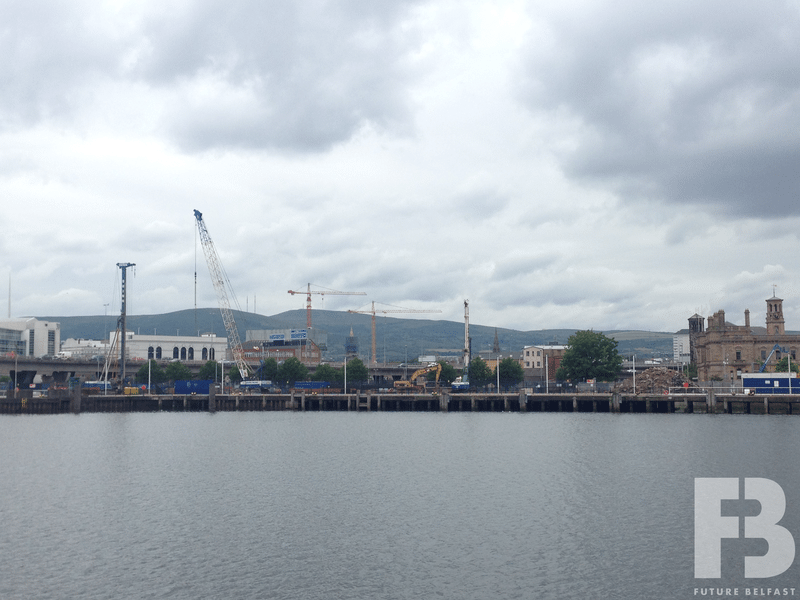 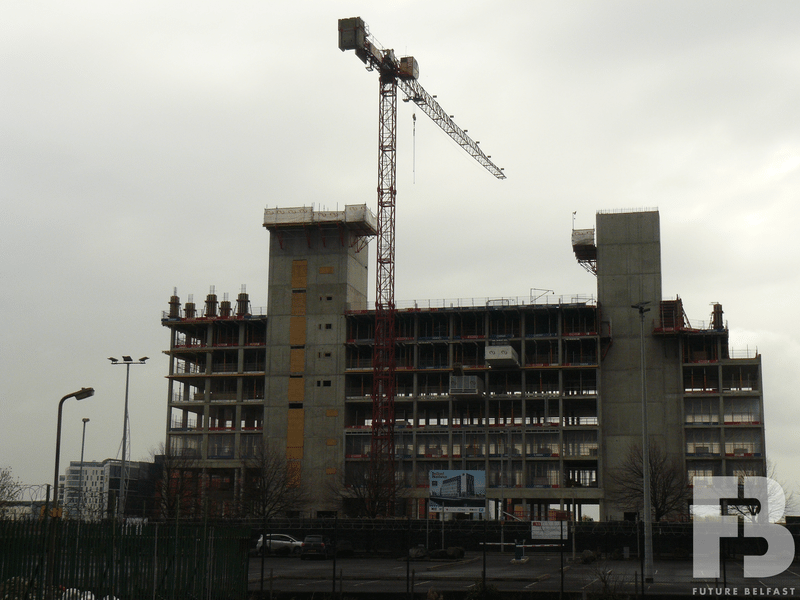 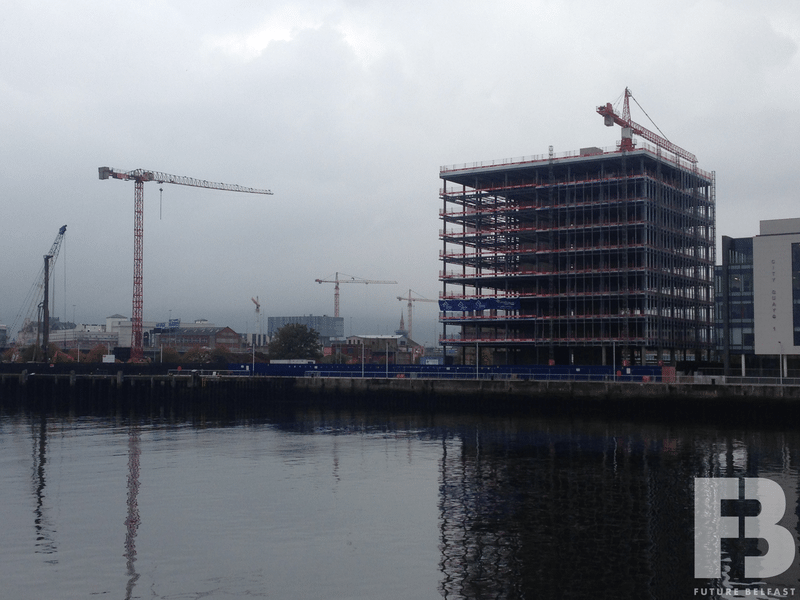 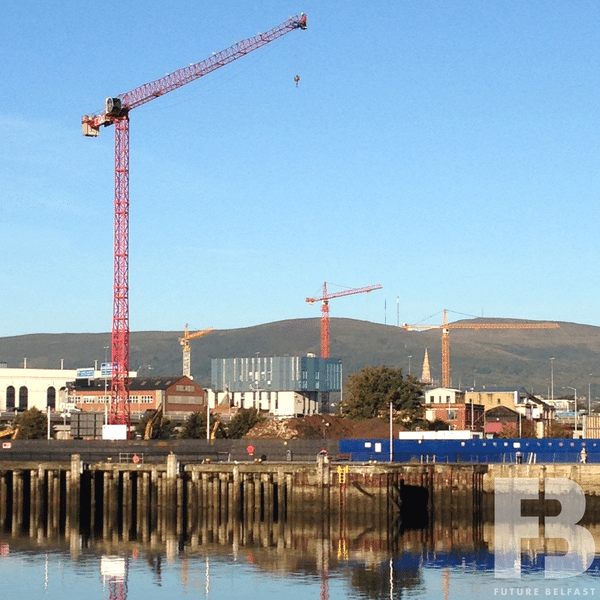 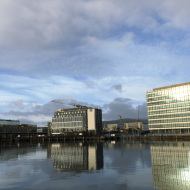 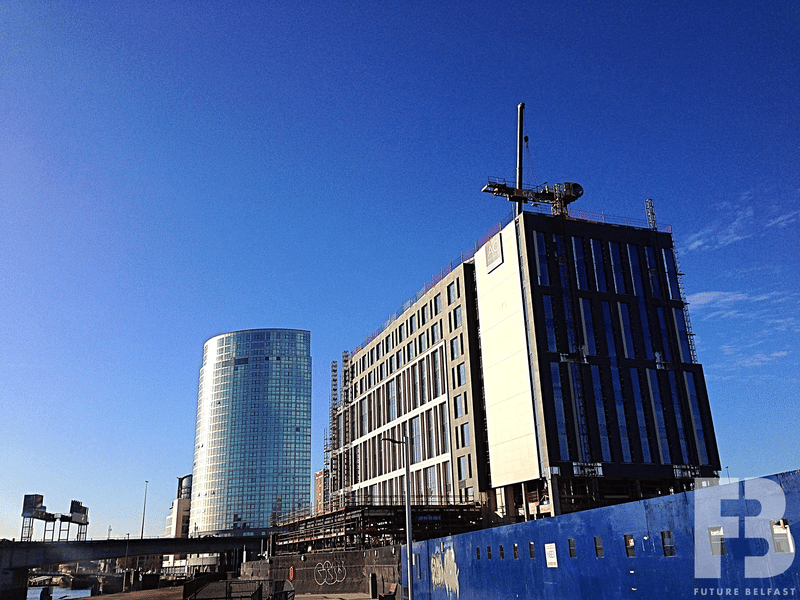 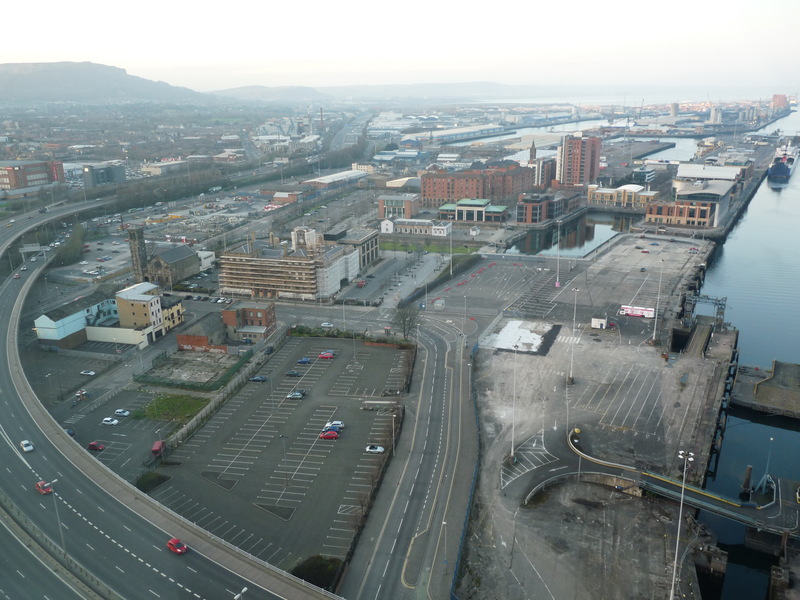 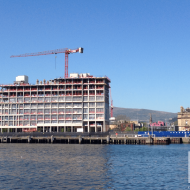 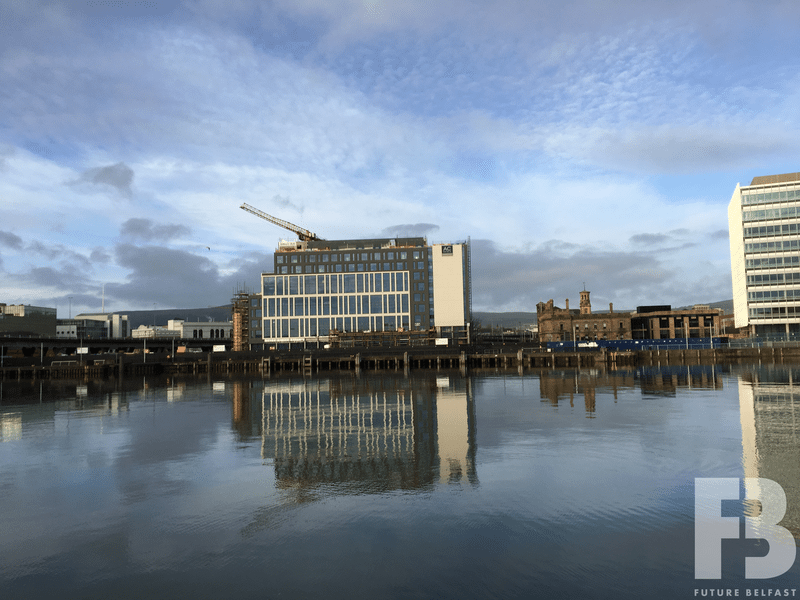 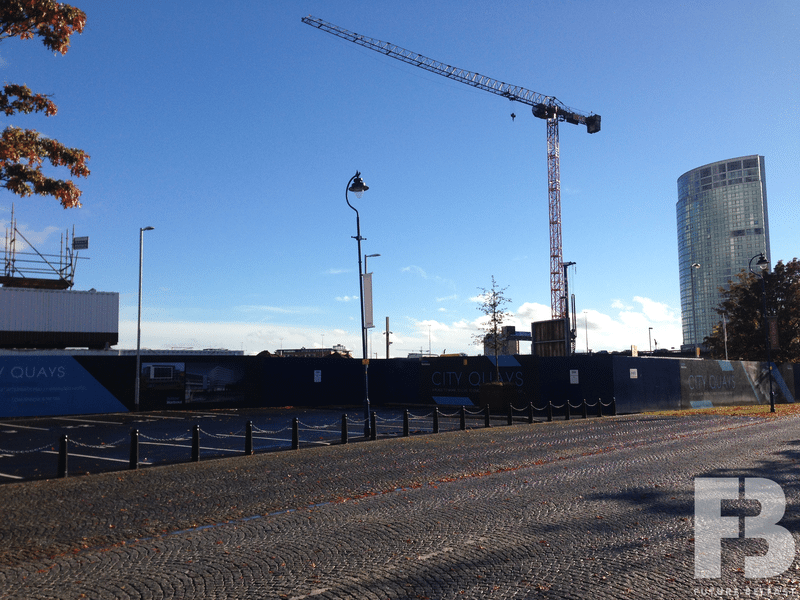 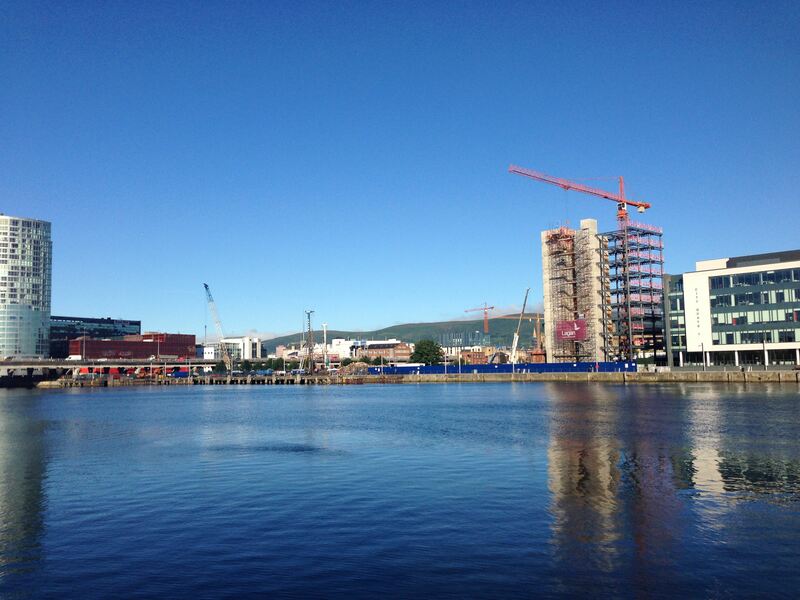 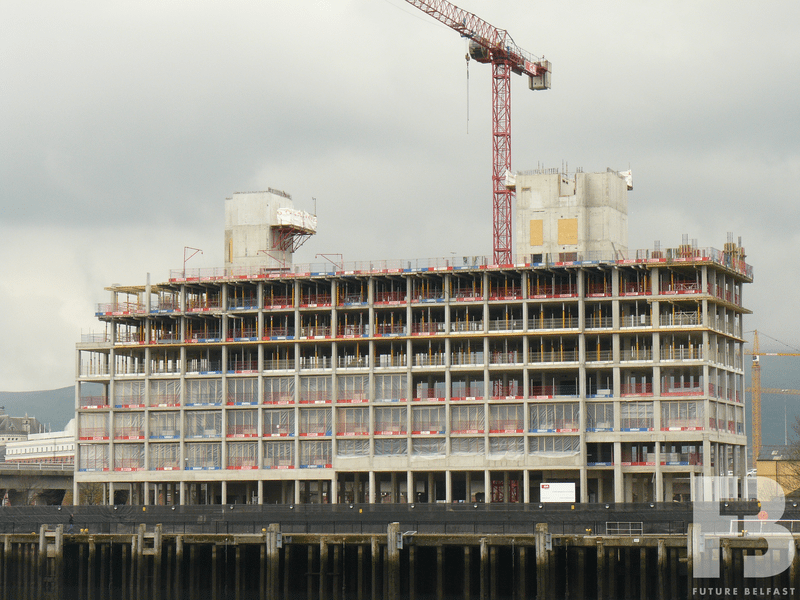 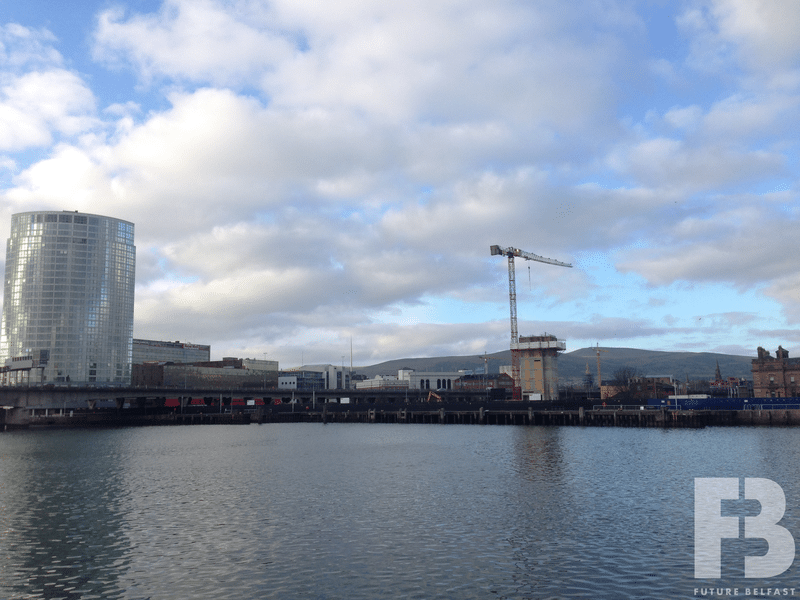 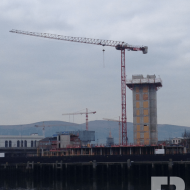 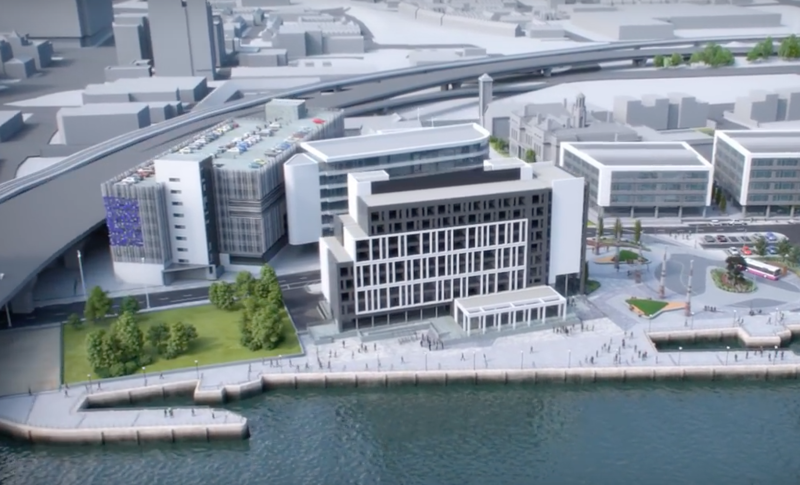 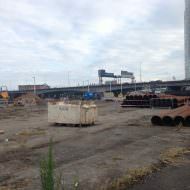 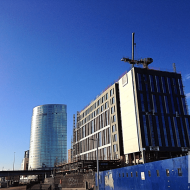 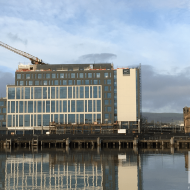 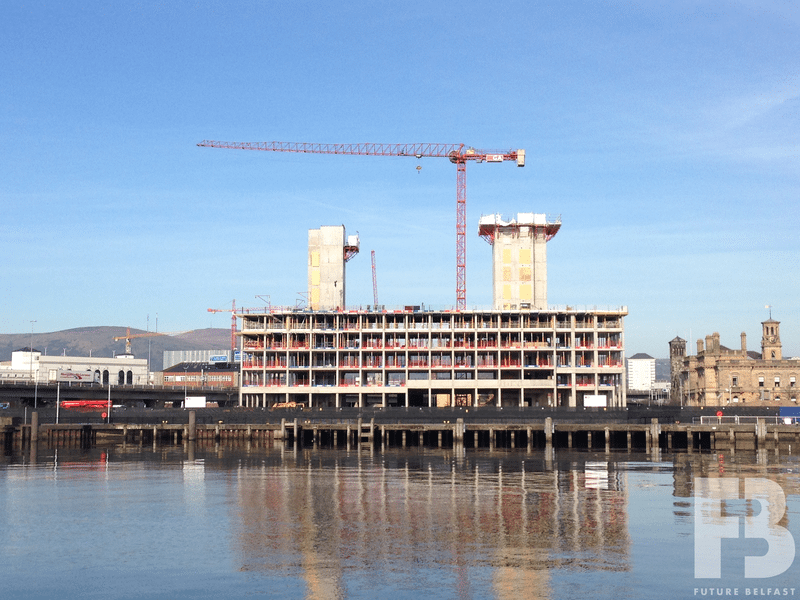 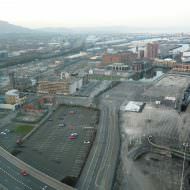 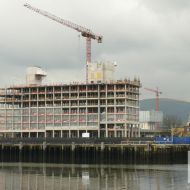 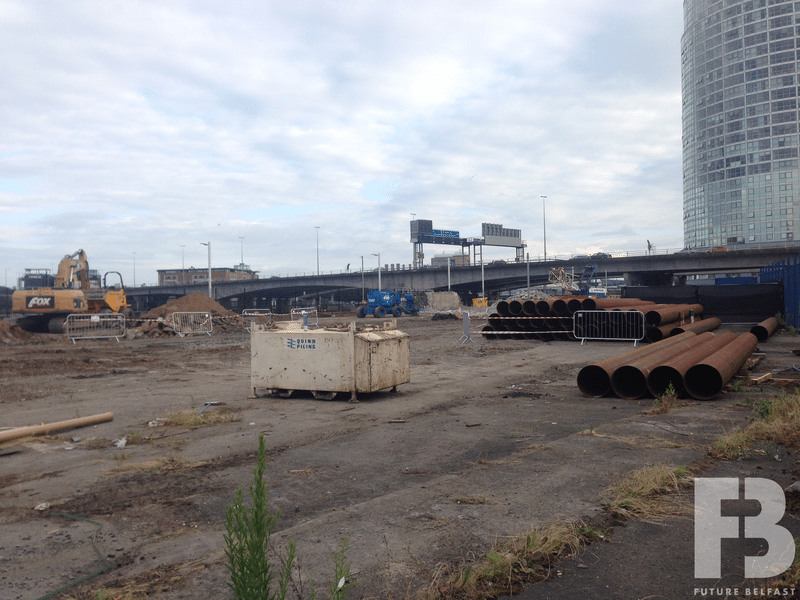 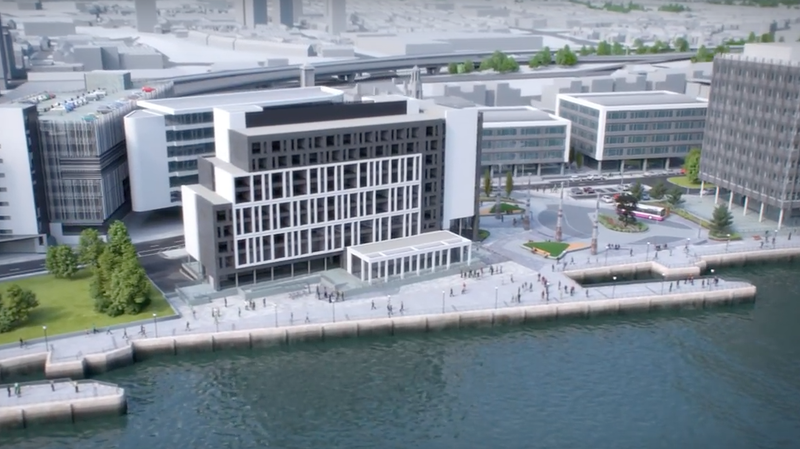 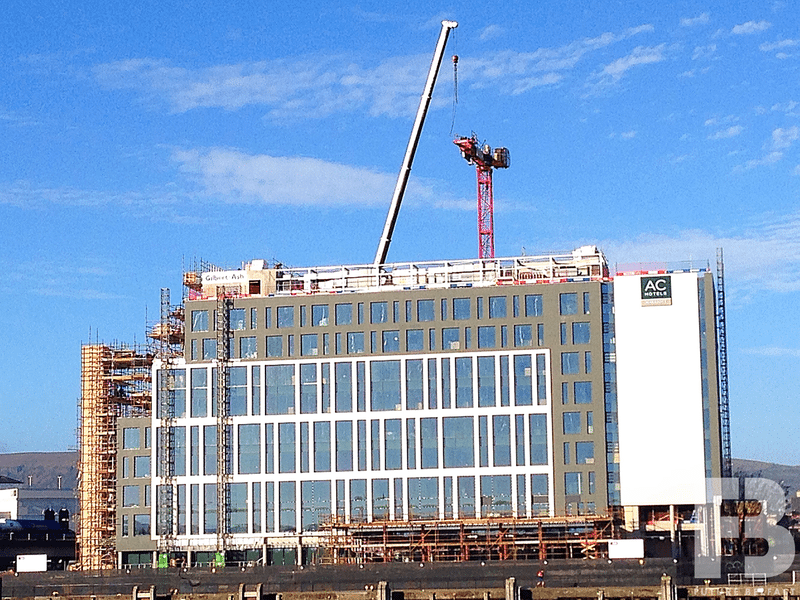 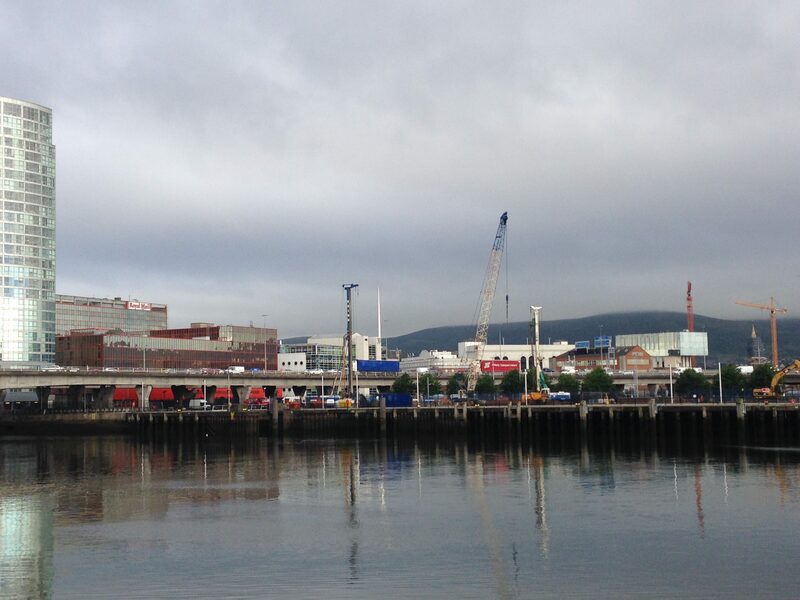 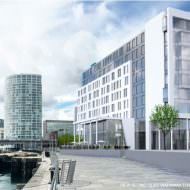 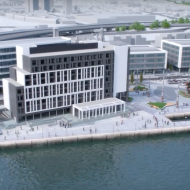 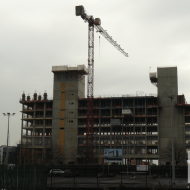 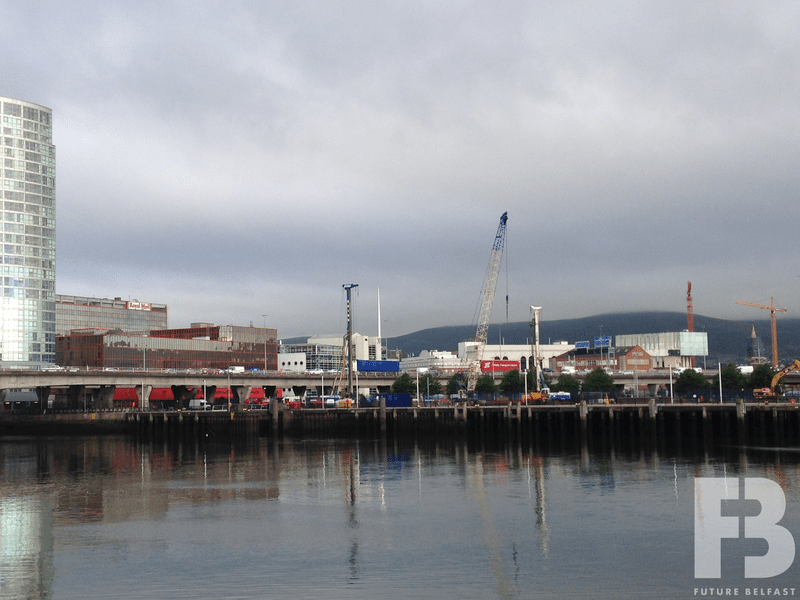 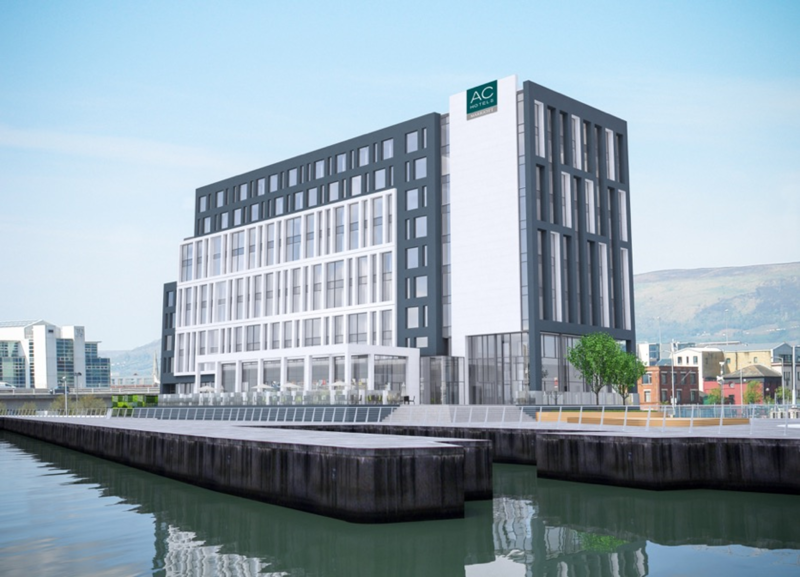 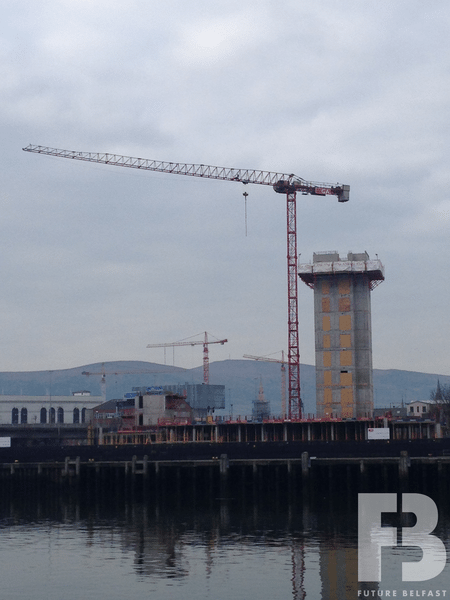 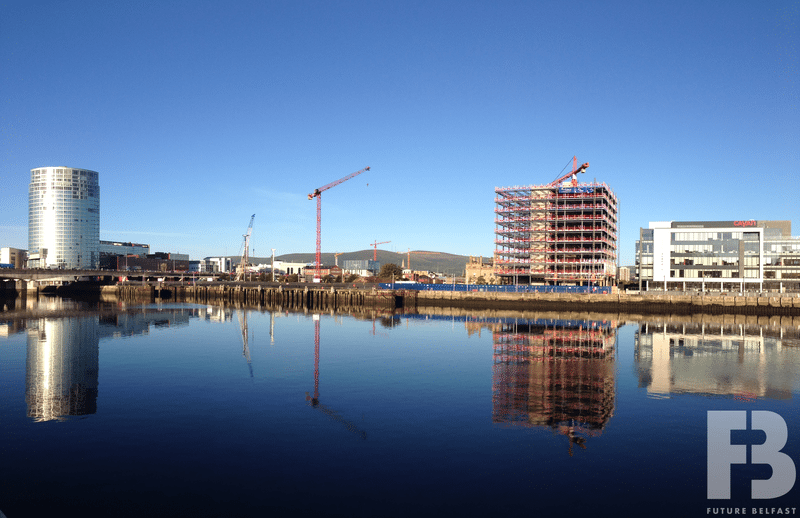 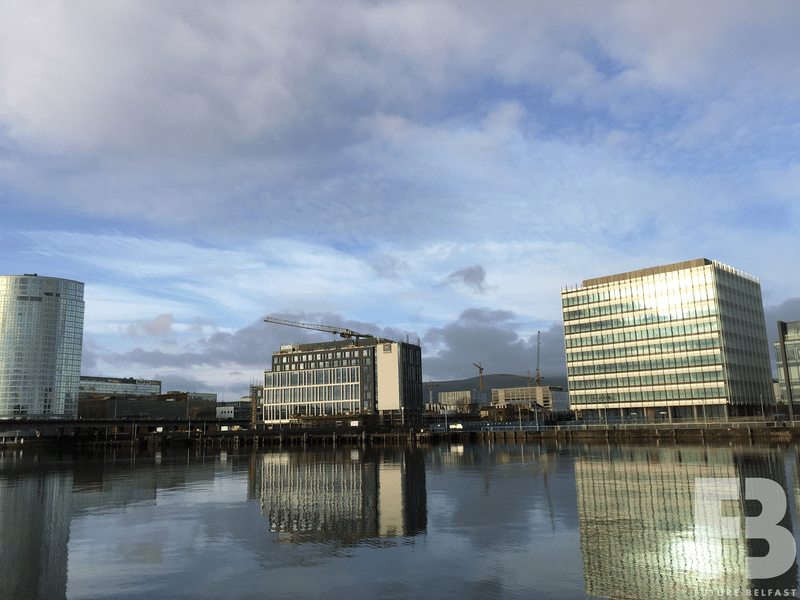 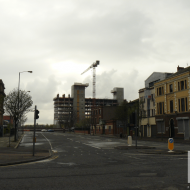 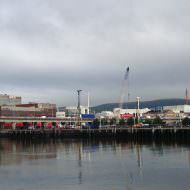 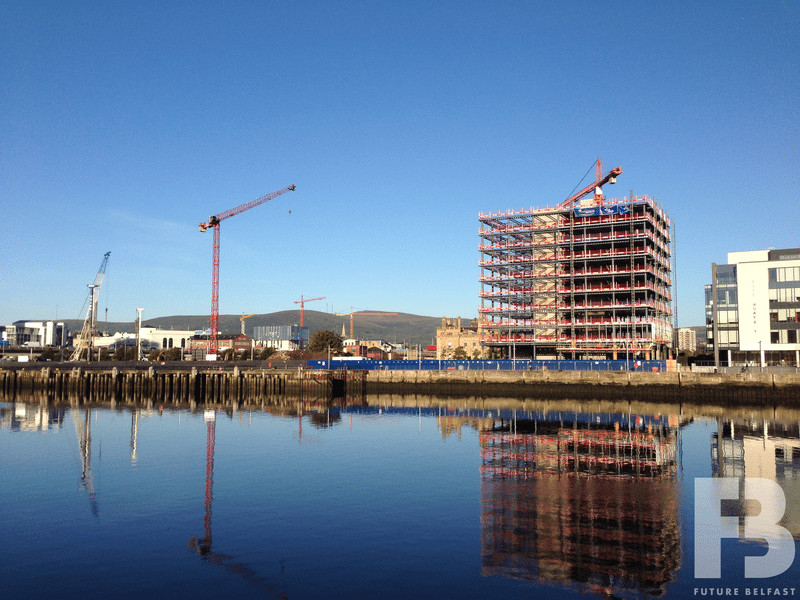 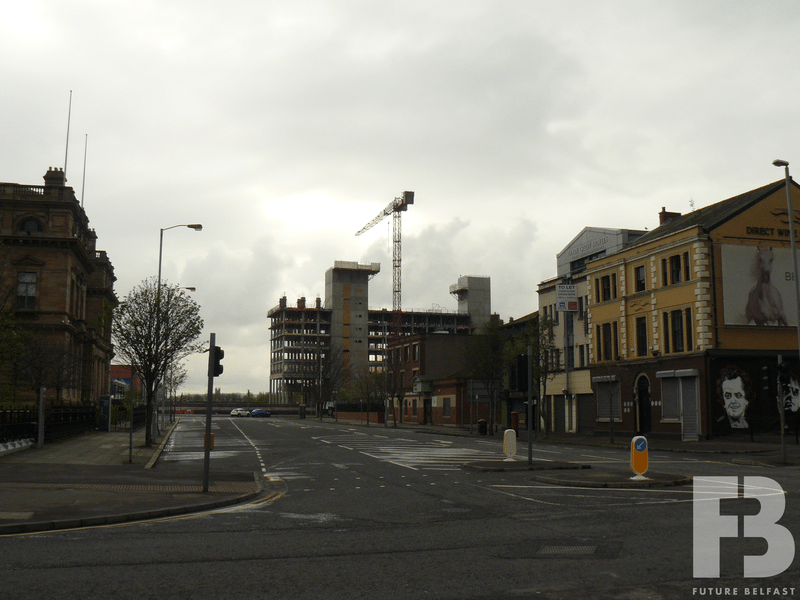 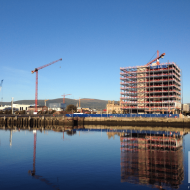 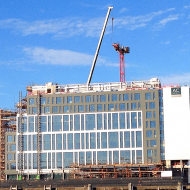 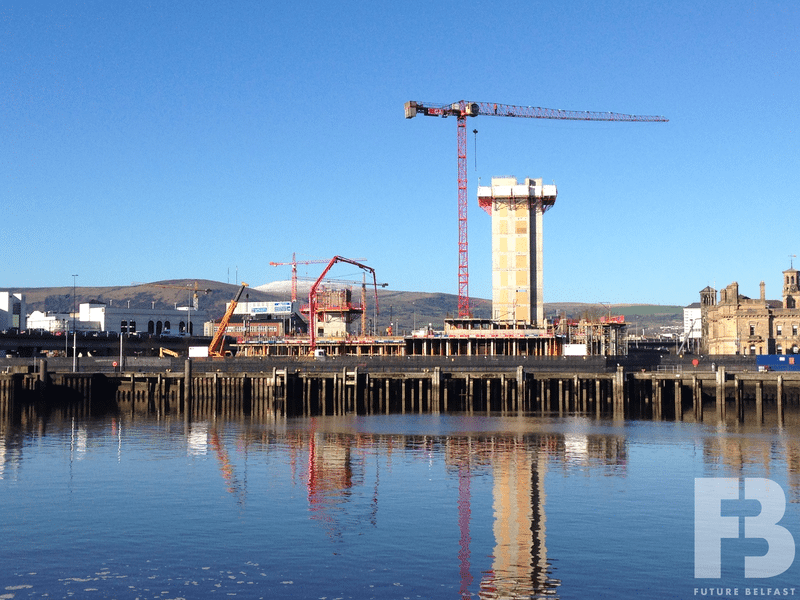 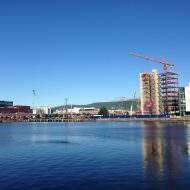 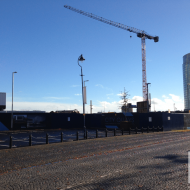 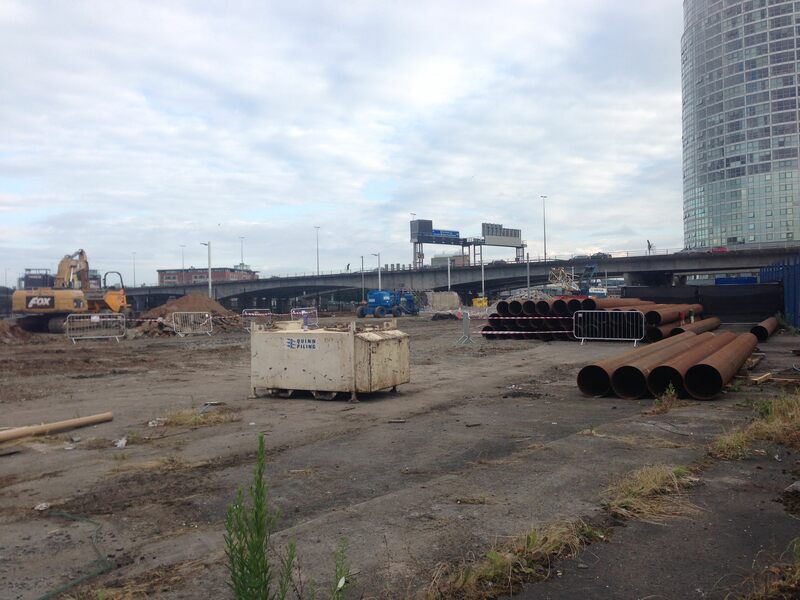 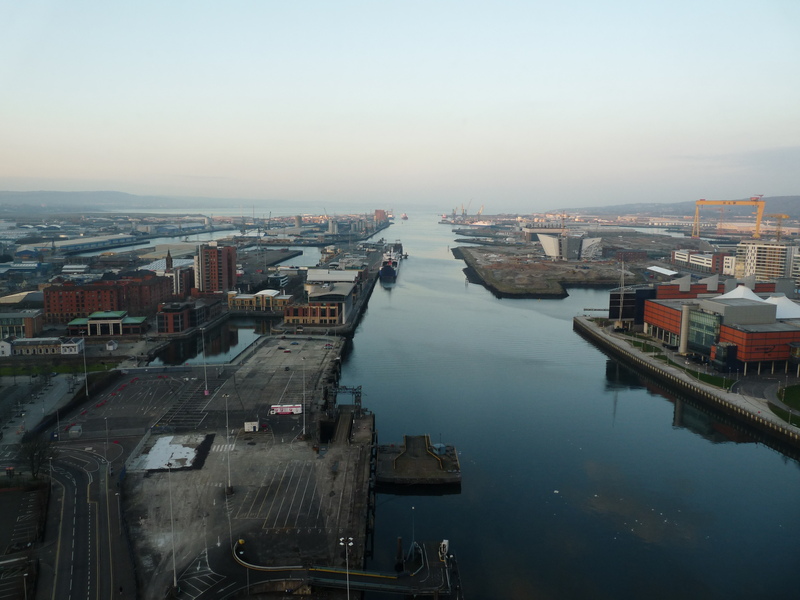 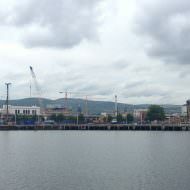 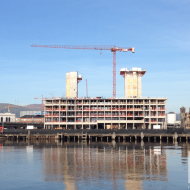 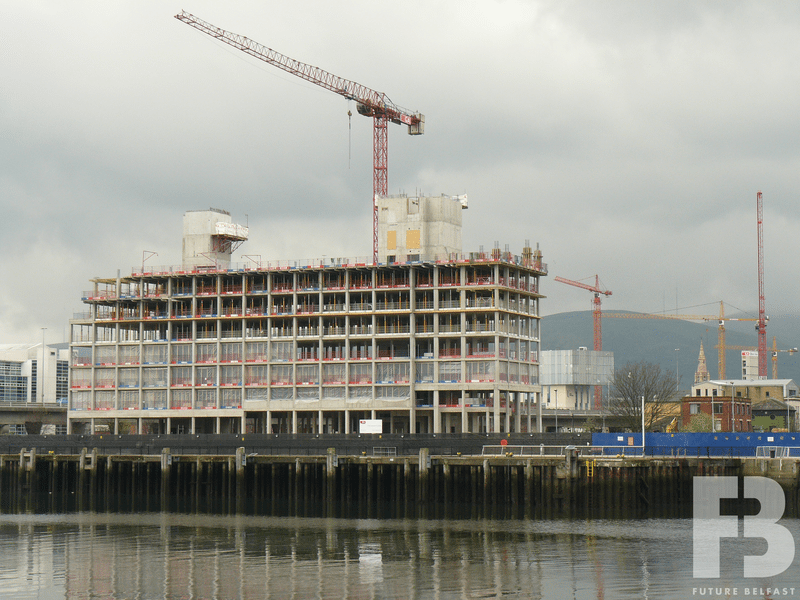 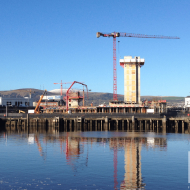 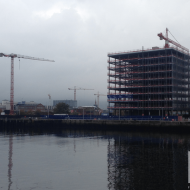 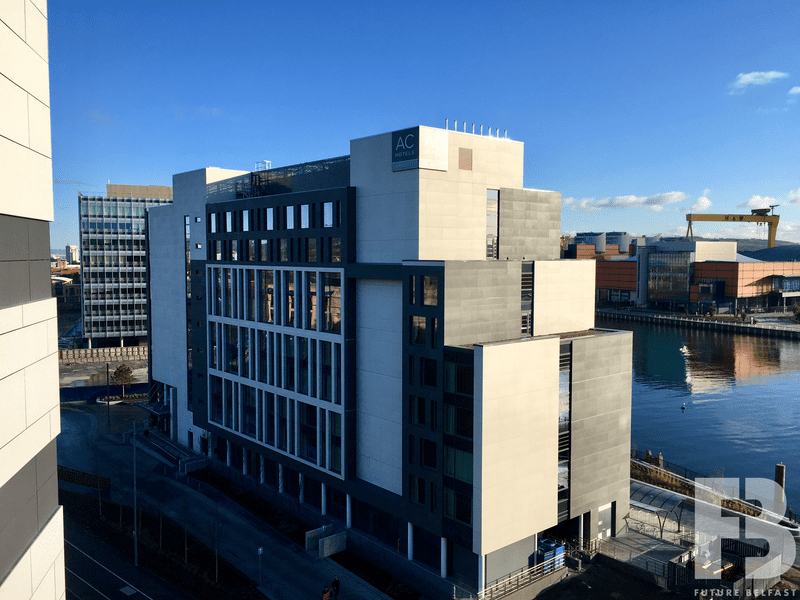 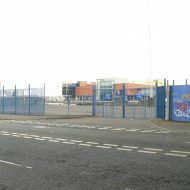 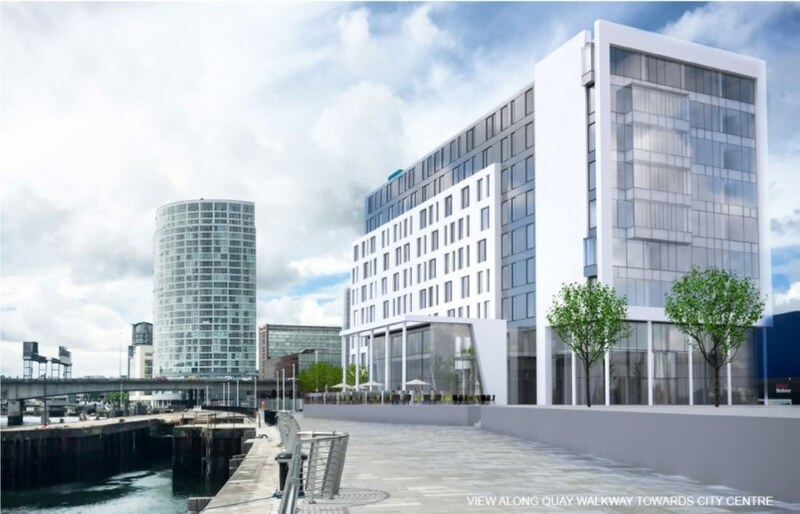 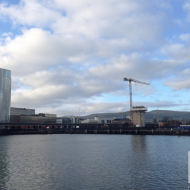 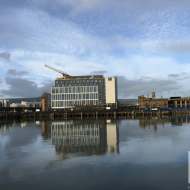 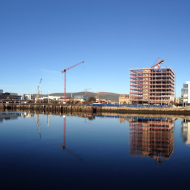 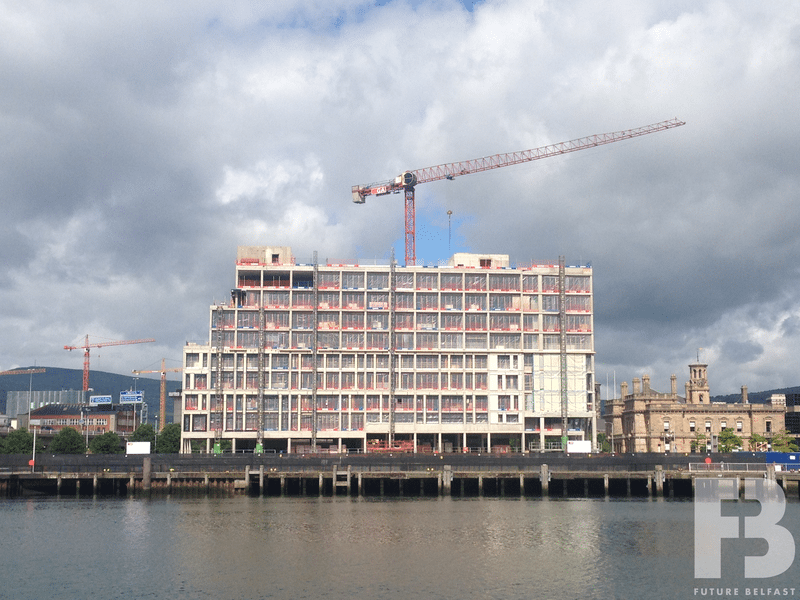 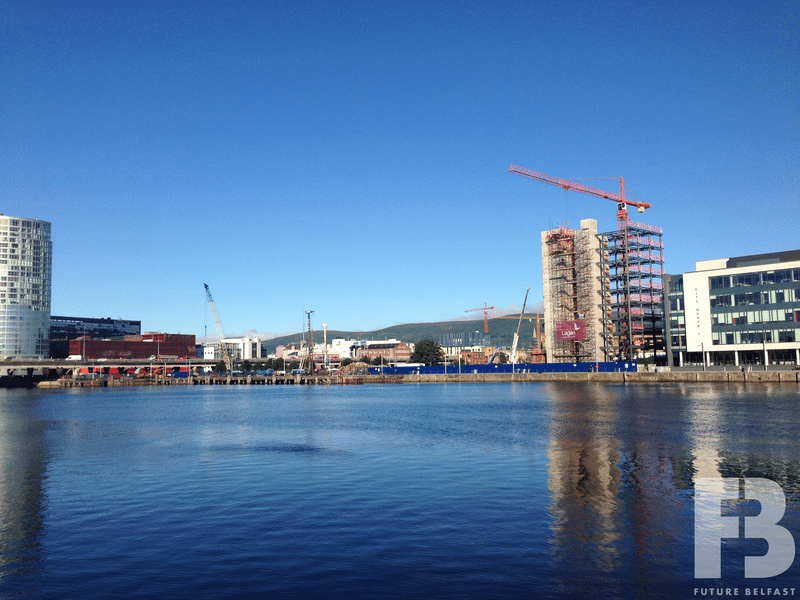 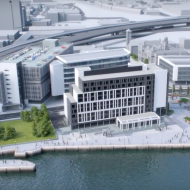 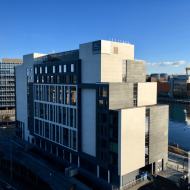 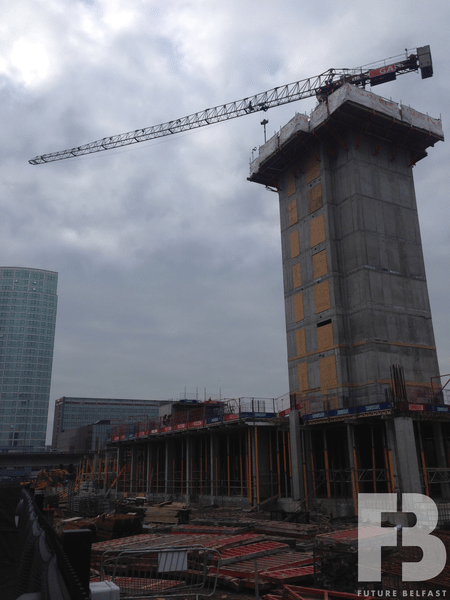 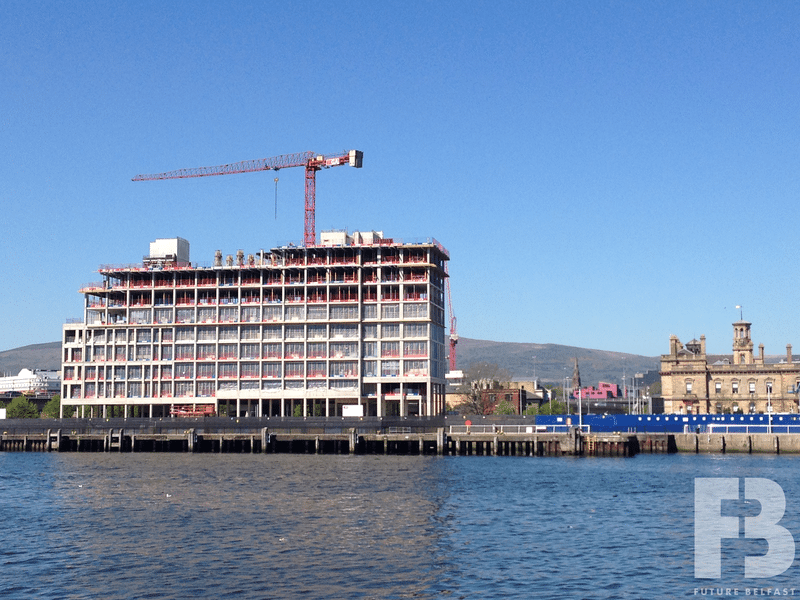 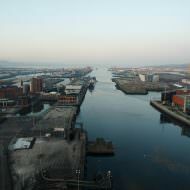 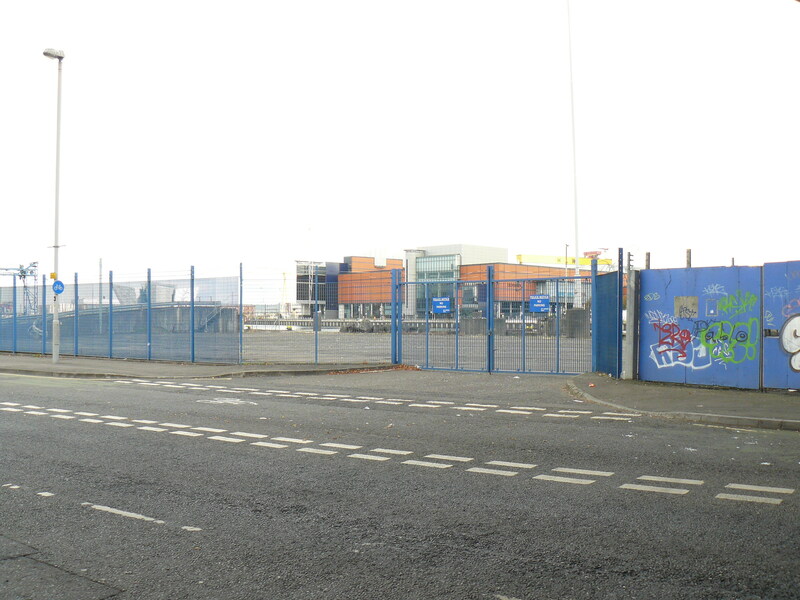 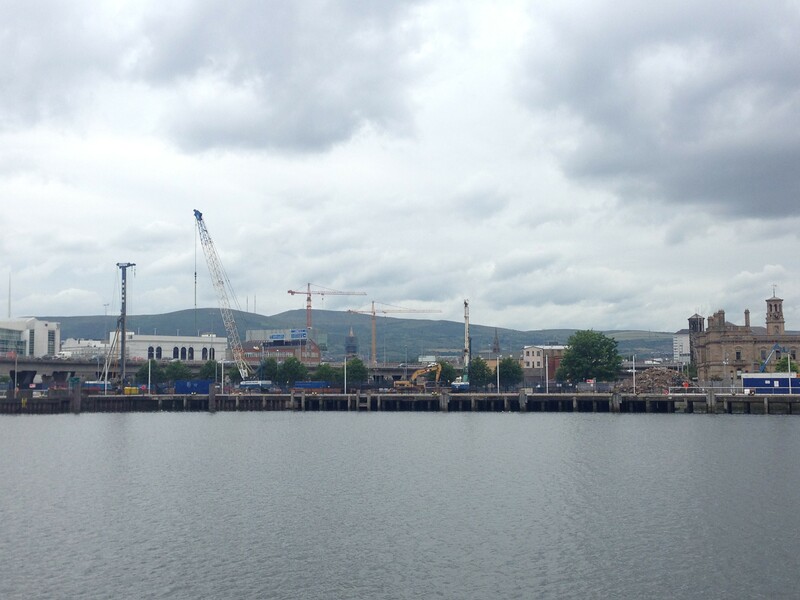 The hotel was granted outline permission as part of Belfast Harbour’s 10 hectare City Quays masterplan (Z/2010/1006/O). A reserved matters planning application (LA04/2015/1423/RM) submitted in November 2015 was approved in March 2016. 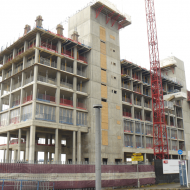 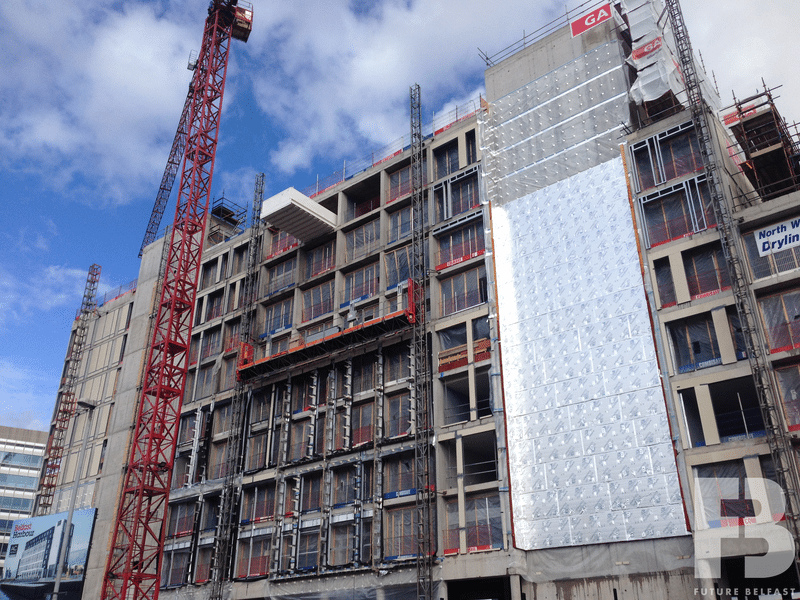 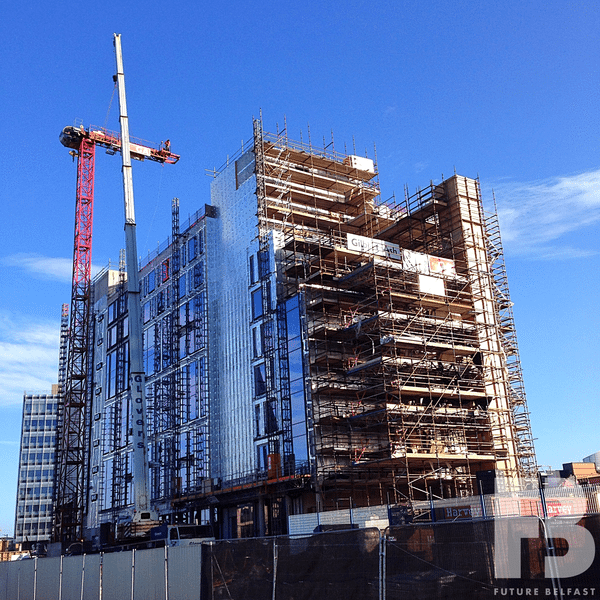 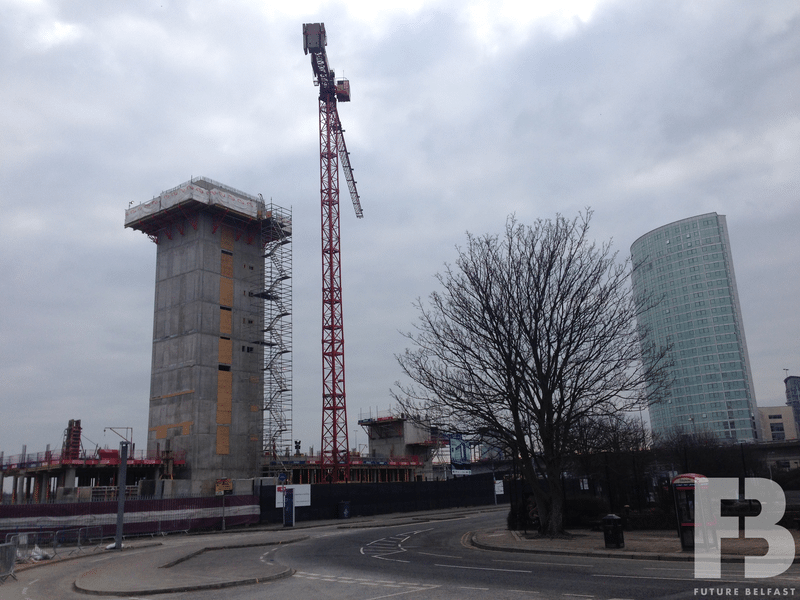 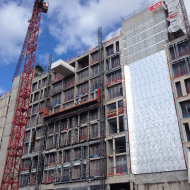 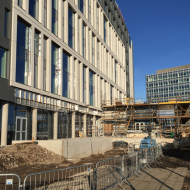 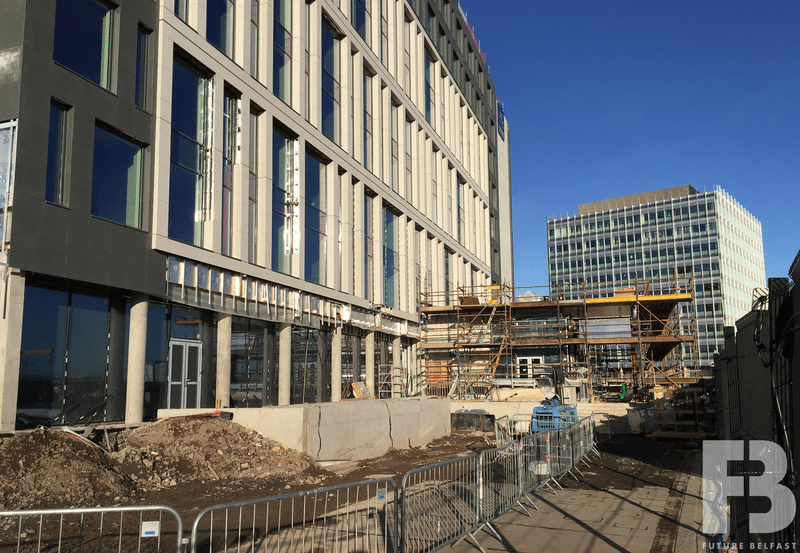 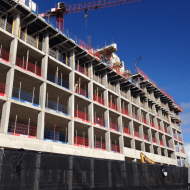 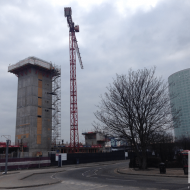 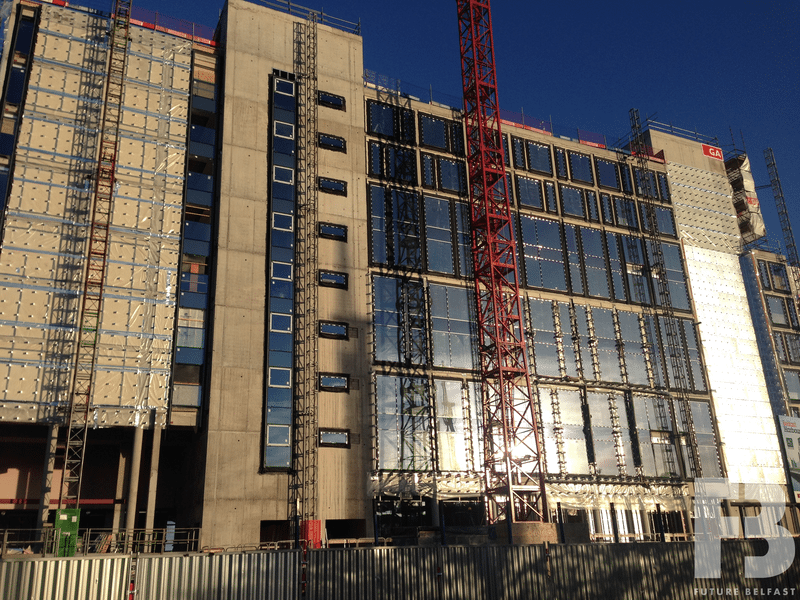 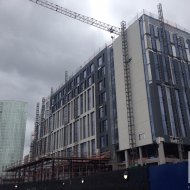 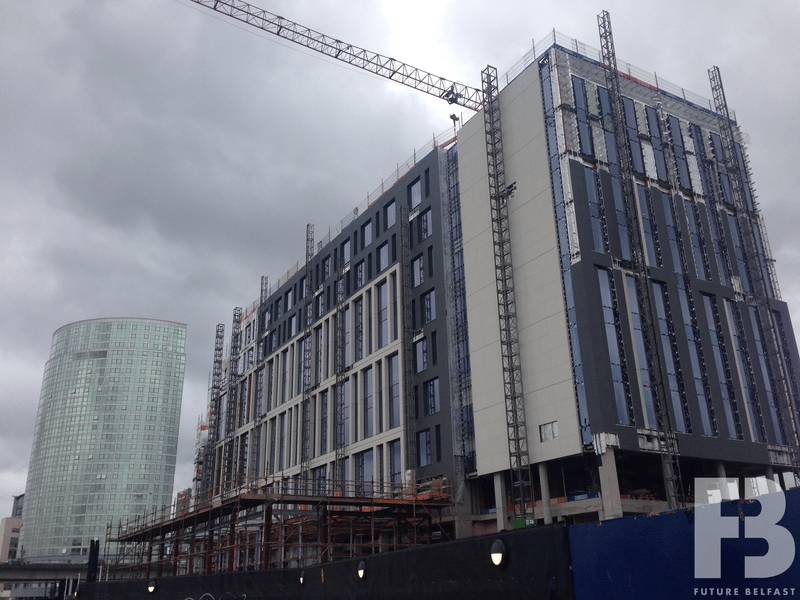 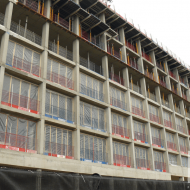 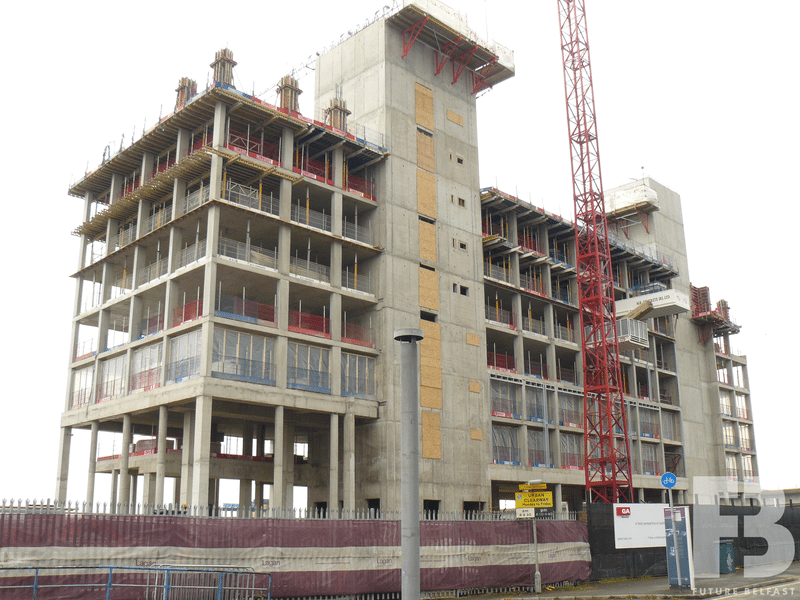 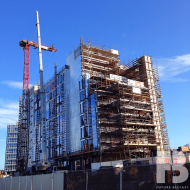 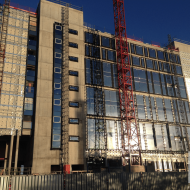 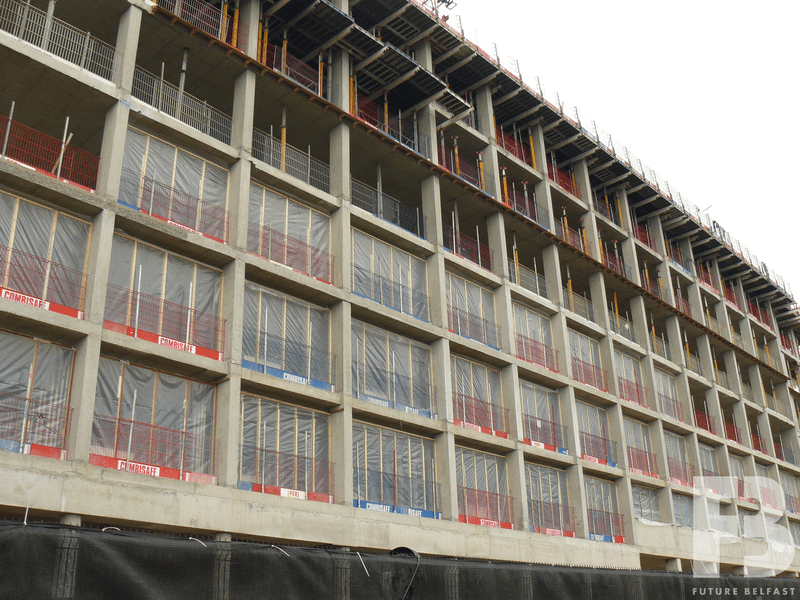 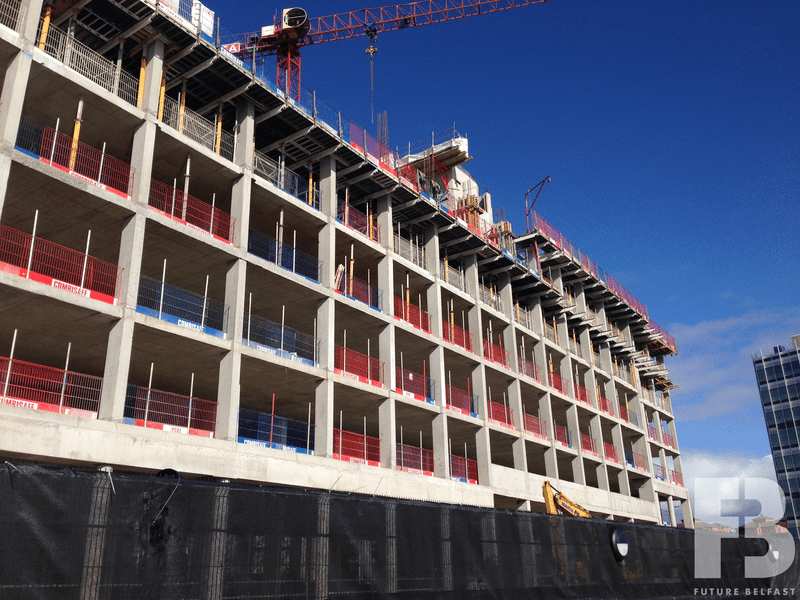 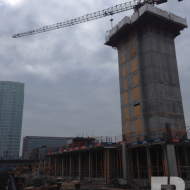 Gilbert Ash commenced construction in July 2016 and completed work in March 2018. 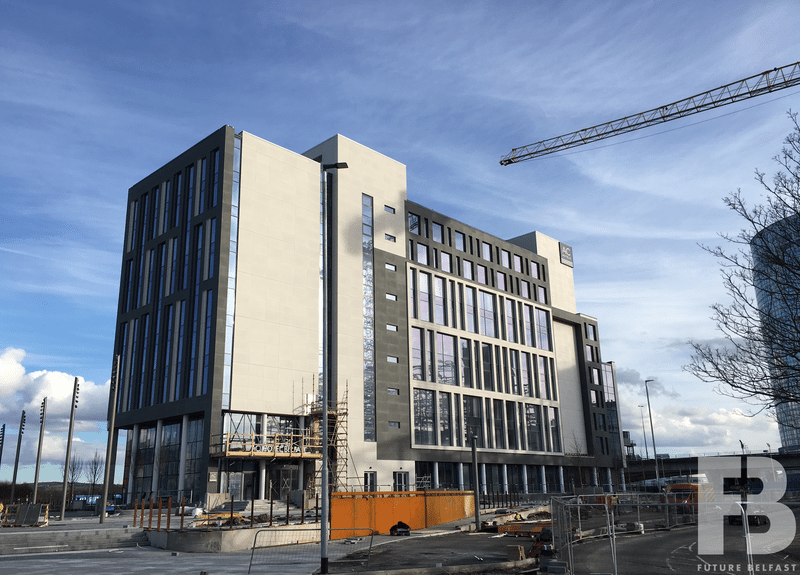 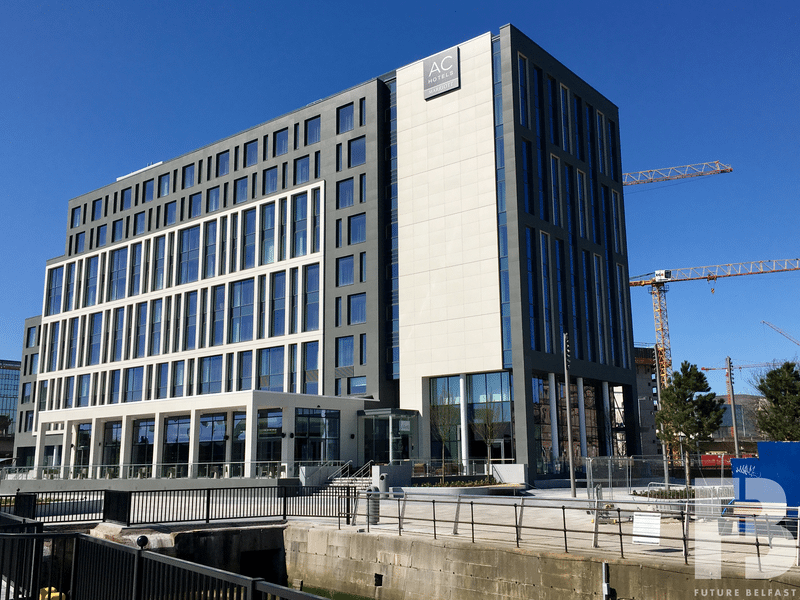 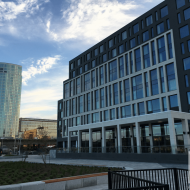 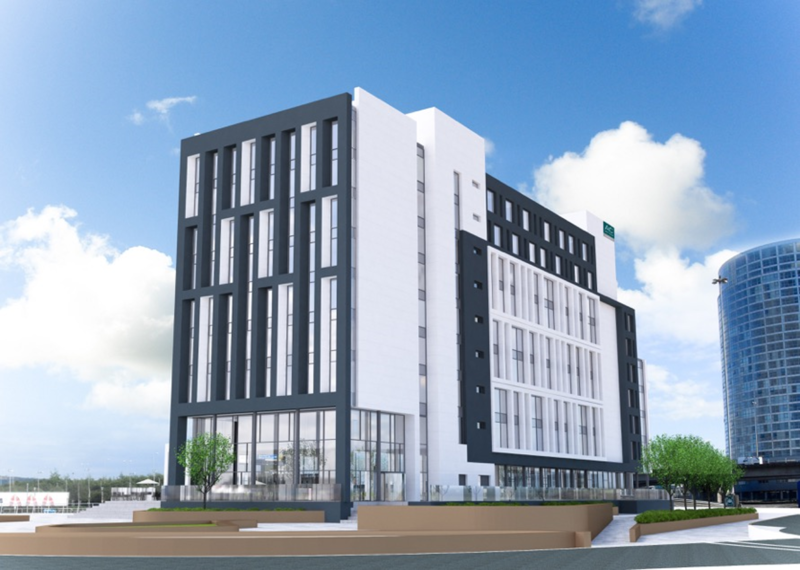 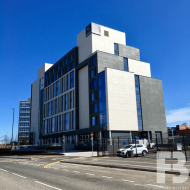 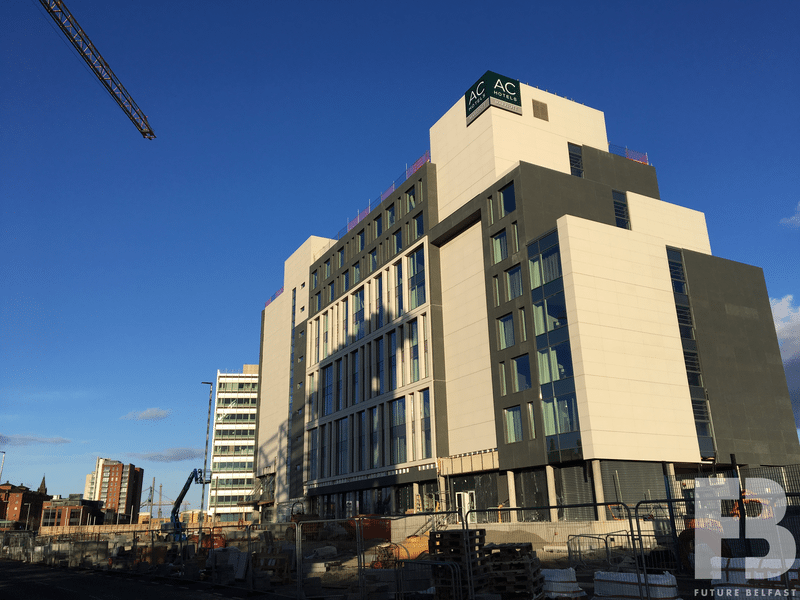 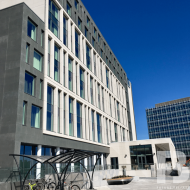 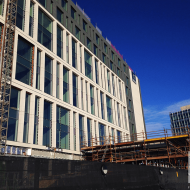 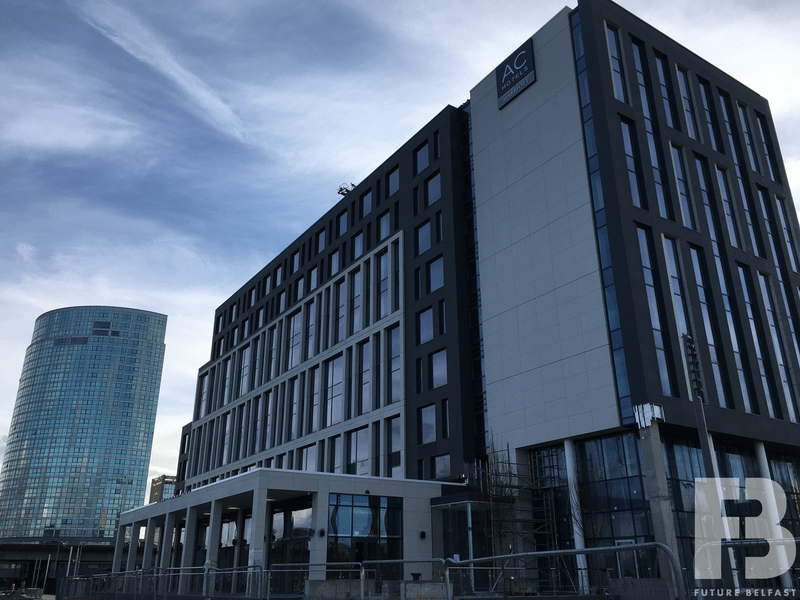 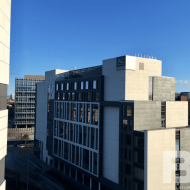 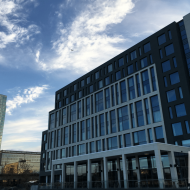 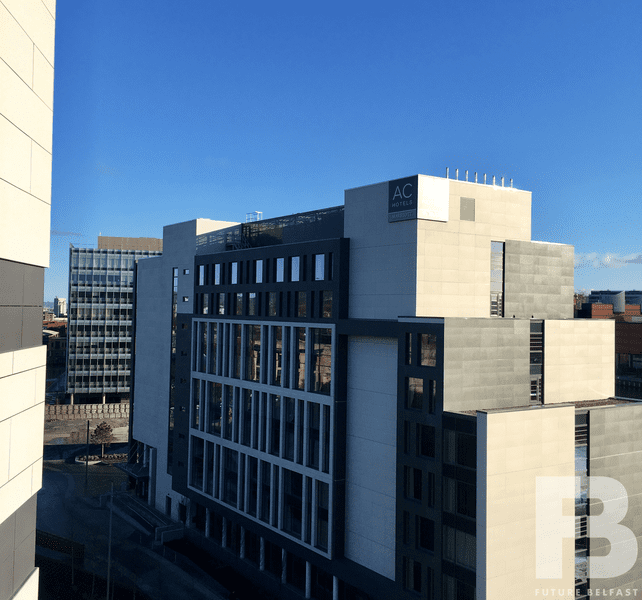 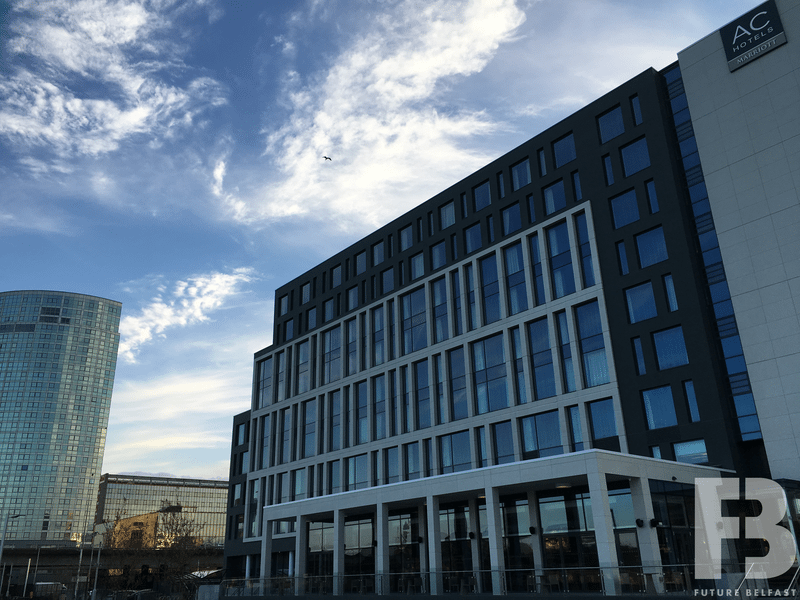 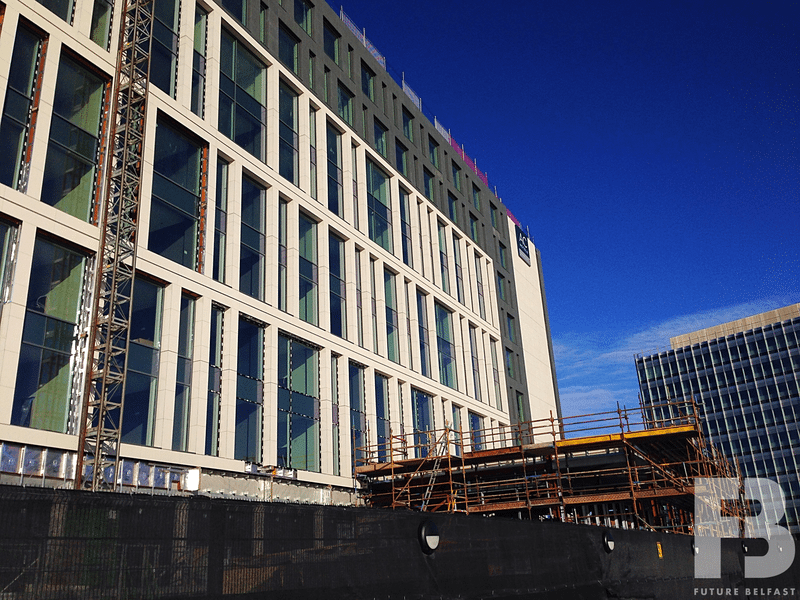 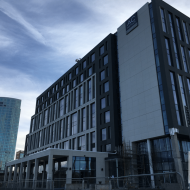 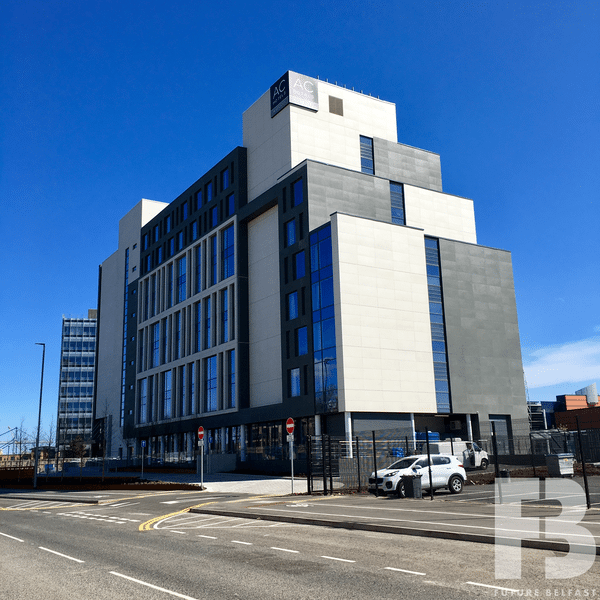 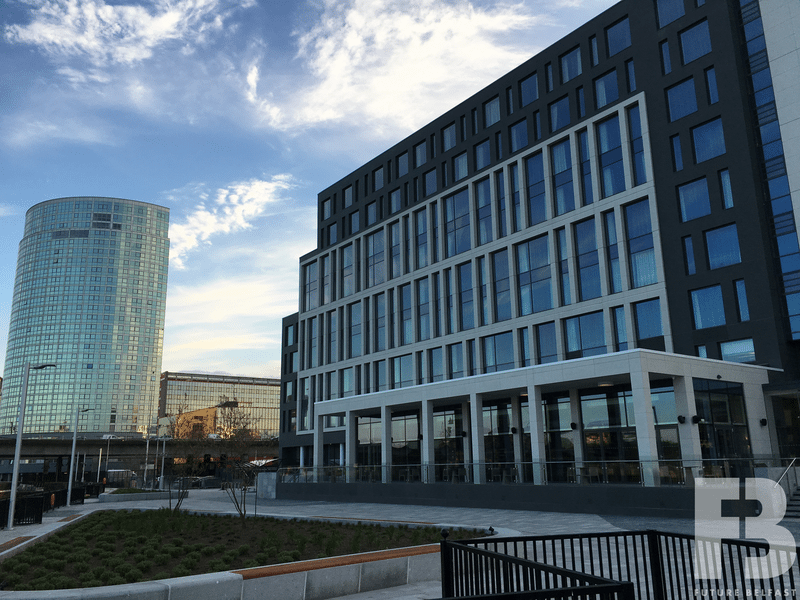 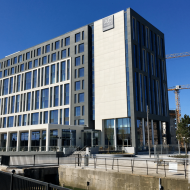 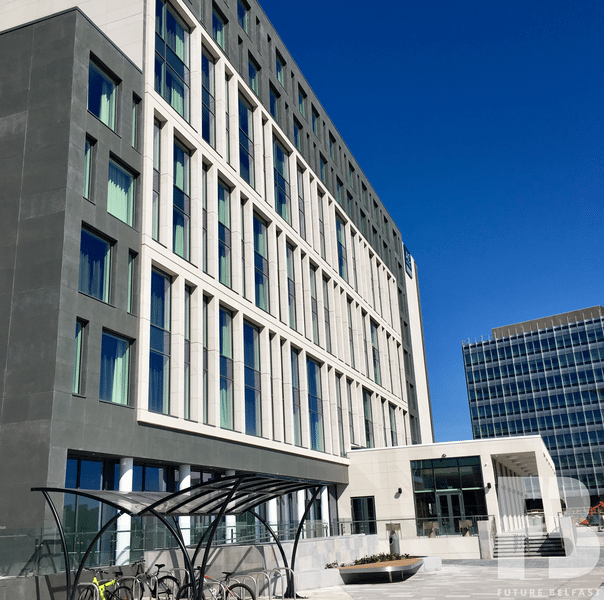 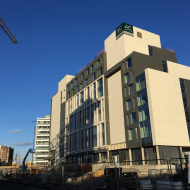 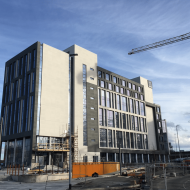 The hotel opened on 9th April 2018. 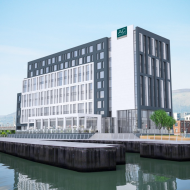 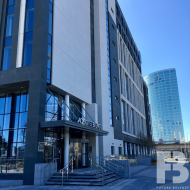 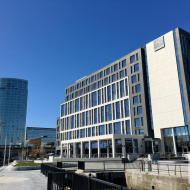 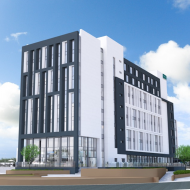 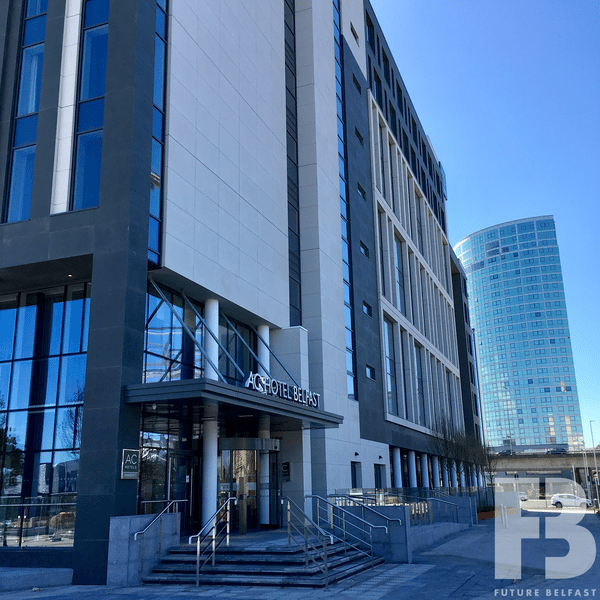 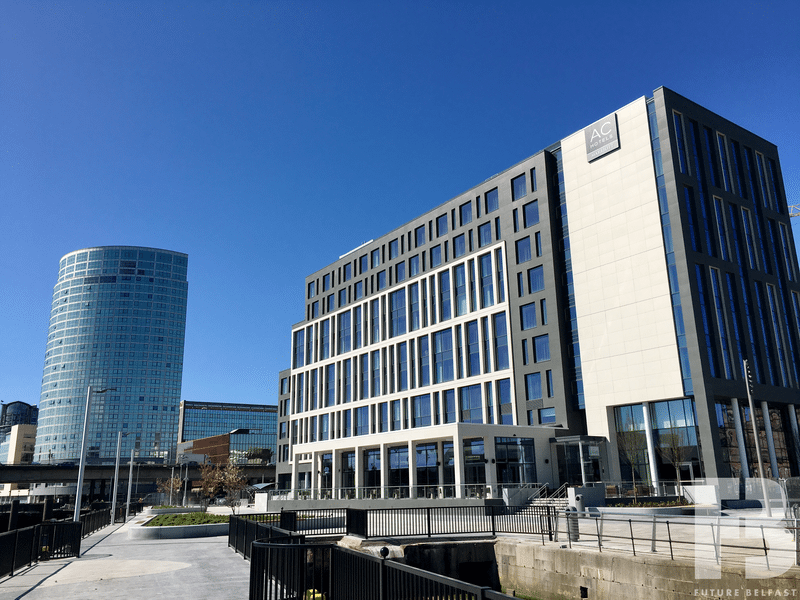 The hotel is owned by Belfast Harbour and operated as a four star AC Hotel by Marriott under a franchise operating agreement with Interstate Europe Hotels and Resorts. 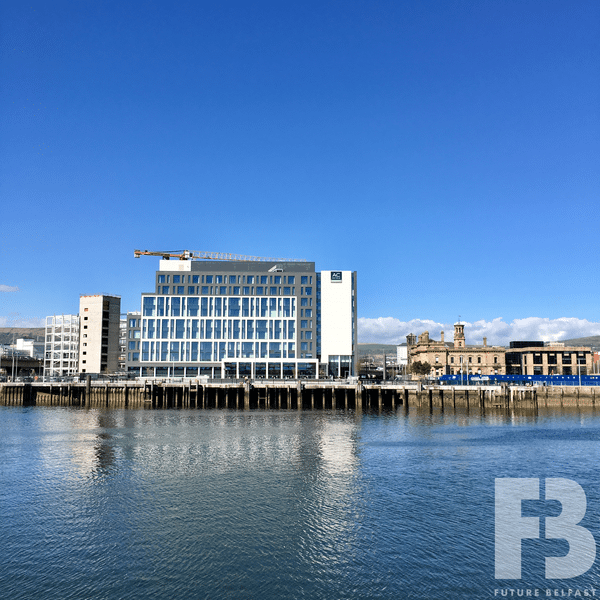 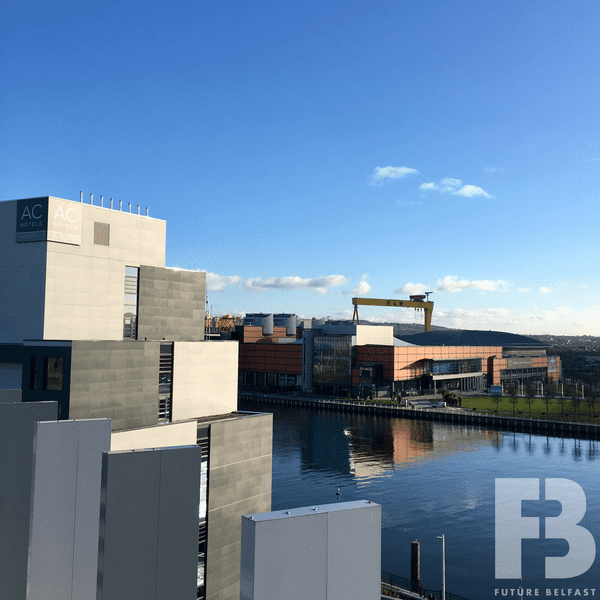 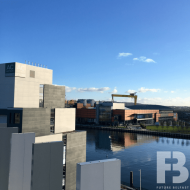 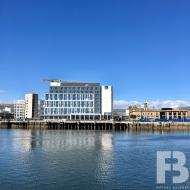 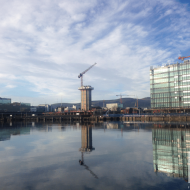 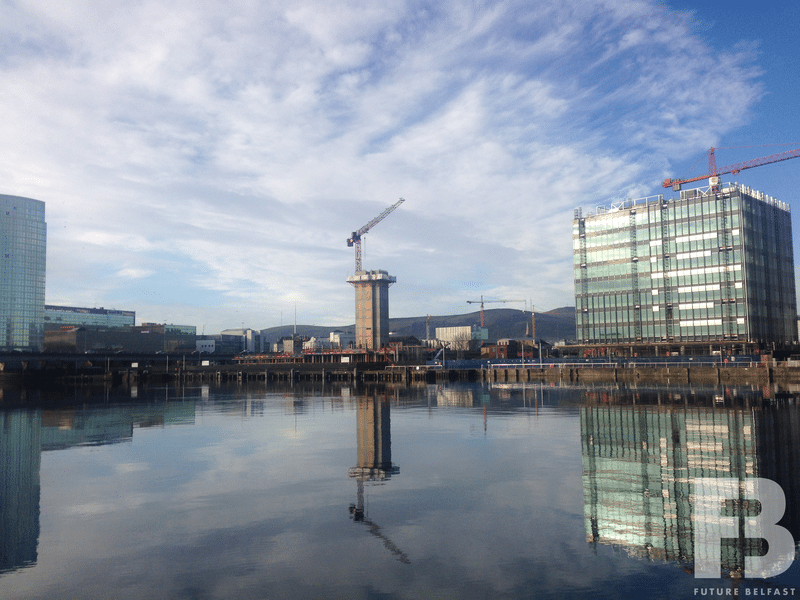 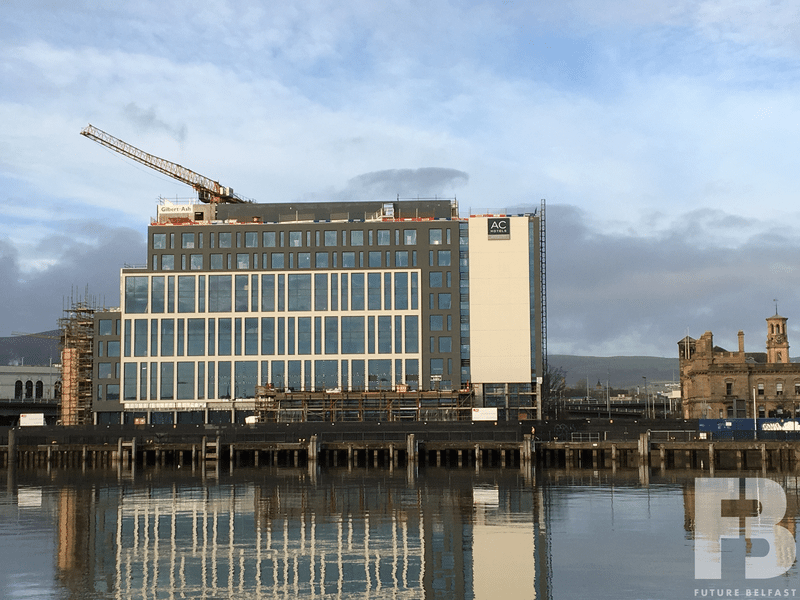 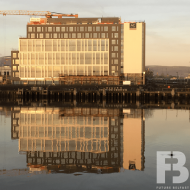 Credit: Belfast Harbour & RPP Architects.